Cardboard Connection: What is the history of STL Sports Cards? Michael - STL: We began breaking in 2010 when our YouTube followers requested that we host breaks as a community. 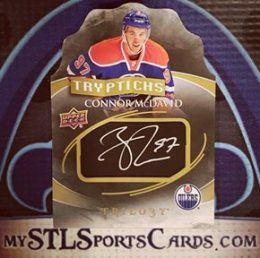 We started with one single box of Upper Deck Artifacts Hockey and the rest is history. Six years later we break all sports from football, hockey, baseball and basketball, along with wrestling, non-sports and memorabilia. We also try to touch every price point in order to ensure everyone has a chance to participate. CC: Why should collectors break with STL versus all the other breakers? STL: I will not speak for other breakers, but one thing we have in our community is loyalty. That stems from our core values, which have existed since day one. Operating with complete honesty, integrity, and community as our core values is what we believe sets us apart. I wake up everyday and strive to make an impact in these three areas. We are not looking to sell more spots, increase margins or push more product. We are looking to cultivate true community and lead with what matters most, treating others the right way, and expecting the same in return. If these things are happening our community will continue to grow and thrive. Community is not the result of breaking but rather, breaking is the result of community. Our members are a giant family, and treat each other as such. Seeing that aspect of what we do thrive is the most rewarding byproduct of the time and work we have put in. CC: Name something unique that STL brings to the hobby and/or breaking community. STL: Everyone has the same product. Everyone has the same chance. What we bring to the table is our longevity in this industry and our relationships with industry leaders like manufacturers, distributors, and retailers. All of these connections give us the ability to bring once-in-a-lifetime opportunities to collectors. Our experience has brought us to many great places and allowed us to accomplish many unique things like being the first breaker to ever broadcast a live group break at the 2012 National in Baltimore, MD, to breaking on the field at the NFL Rookie Premiere. I can promise anyone that gives us a chance, you will not find someone who cares more about you than this community does. 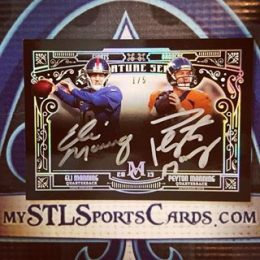 You can find STL Sports Cards breaking every Monday, Wednesday, and Friday starting at 5:00 PM Eastern on Twitch. They also created "The Clubhouse," an exclusive Facebook community with over 1,850 members and counting, for buying and selling cards. FB members are also notified of upcoming breaks and fillers. For those who can't make it to the National this year, don't worry because you can participate via STL's live stream, and even get in early on purchasing your spots.